Renata’s Coaching & Counselling blog: Why bother setting goals? Why not just go shopping instead – have a bit of retail therapy? # As human beings we get ‘habituated’ to new things in our lives. This means that we get used to new things and the glow wears off very quickly, and we start to feel dissatisfied again. Have you noticed how children quickly get used to having presents given to them? Have you noticed how soon you can adjust to new furniture, or a new car? Or a new relationship? What a shame that is, after what they cost us! # Achieving goals is a deeply satisfying activity for humans, and research has shown that our brains release a feel-good hormone when we achieve them. We have that sense of achievement for the rest of our lives – no-one can take it away from us. Each time we remember it, we feel good and we know the hard work we had to do to achieve it. I have had the privilege for years of seeing the happiness and sense of achievement shine out of clients’ faces when they achieve their goals. For example, I have helped many students to achieve their academic qualifications, at the end of a course which has been a tough battle for them; but they made it through! I was so proud of them, and they wisely took pictures at their presentation events so they could treasure the event for the rest of their lives and show them to their families. That warm glow lasts for the rest of our lives! And you can’t buy it on Oxford Street or on any other high street in the UK or your local supermarket. And this warm glow is experienced no matter whether your goal is related to your work, your home life, your relationships, your academic study, your hobbies, etc. 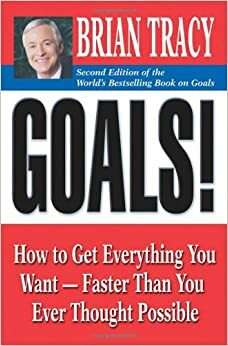 So how can we achieve our goals? Athletes involved in sports or other areas of life have coaches to help them achieve their goals and win competitions. They know they can’t do it all on their own. They know the value of focus and constructive feedback, and how efficient and effective it can be. But in ordinary life, people have just as many challenges, because they face the tasks of holding down a job, and/or raising a family, managing their relationships, and/or creating a career for themselves, handling health problems, caring for other family members, organising social events and many other tasks. Models and techniques you can learn to keep your head above water. How to create the kind of life you want for yourself in the future. The coach/counsellor uses their skills and training to help you create a better life. With their support and knowledge of how to release your potential, you get to step out of your daily routine and figure out where you are headed. And, also to check out with yourself if this is what you really want. You may want to change your job, or some aspect of your relationships, achieve further training, or take a searching look at where you are going in your life. With the help of a coach/counsellor you can identify the experiences you want and make changes which will last the rest of your life. And the effects will last longer than the new hairdo or CD you bought, or that new mobile app you wanted. Your warm glow of achievement, when you achieve a valued goal, will be a treasured part of your life. And remember – you can’t buy it at Sainsbury’s! Do you want to give it a try and find out the truth for yourself? We are geared up to work with you to bring valued changes into your life, so contact us for help and support.